Turn your mobile devices into a virtual journal rack with BrowZine! Download and install the free BrowZine app from the Apple App Store or Google Play Store. When you open BrowZine for the first time, you’ll see a list of schools – select the Chinese University of Hong Kong. Login with your CUHK Login. 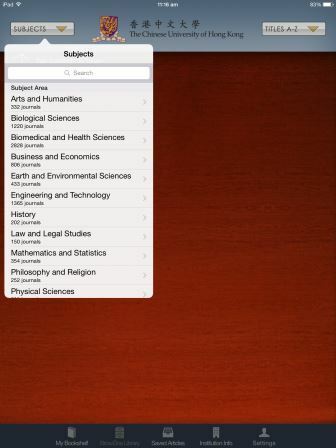 You may then select subject areas and start browsing journals. Open the article you would like to export in BrowZine, and tab the on the right side of the top menu. The screen will show the RefWorks login page. 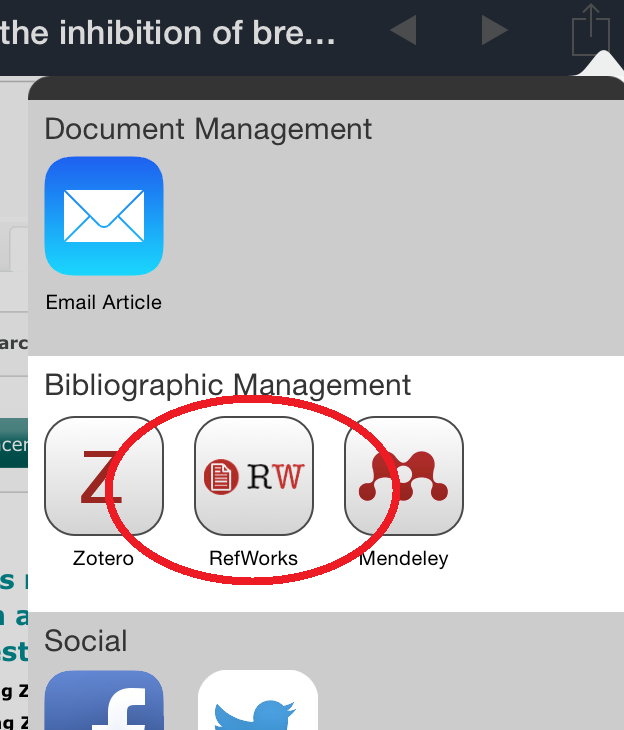 Log in your RefWorks account and the citation would be exported to your account.